Born in Italy, Ellen Giacone began learning the piano and violin when she moved to Paris at the age of 8. She started to train her voice when she was 17 and completed a professional degree of classical singing in June 2011, after taking classes in Paris with Mary Saint-Palais and Robert Expert. She then studied at the CRR of Paris with Fusako Kondo, and attended masterclasses given by baroque experts Sara Mingardo and Peter Kooij, as well as Lied and French Mélodie experts like Serge Cyferstien, Dalton Baldwin and Anne Le Bozec. Since 2002, Ellen has developed a special taste for baroque repertoire and has performed many concerts, mostly one-to-a-part programmes, with a number of choirs and consorts in Paris, Metz and Geneva. She has also sung several times under the baton of Ton Koopman, in Paris and New York: in 2008 she was praised for her interpretation of Händel’s Ode for St Cecilia’s Day in the New York Times. She has been a member of the Monteverdi Apprenticeship Scheme 2012-2013, joining the Monteverdi Choir conducted by Sir John Eliot Gardiner for various projects all over Europe in 2012-2013. In 2012 she has also sang regularly with other English ensembles including Polyphony conducted by Stephen Layton. From 2008 to 2014, she was a member of Athénaïs, a French baroque ensemble which she recorded two albums with, focused on French baroque repertoire (Anima Christi, 2011 & O Amor Jesu, 2014, Bayard Musique). She has performed various works from the Italian, German and English baroque repertoire with other French and Dutch ensembles (Europa Barocca, La Fenice, Les Musiciens de Mlle de Guise, Apollo Ensemble). On stage, she sang various operas and oratorios: Rousseau’s Devin du Village (2006), Fauré’s Requiem (2007), Belinda in Purcell’s Dido and Aeneas (2009 and 2014), Mozart’s La finta giardiniera (2011), Händel’s Messiah (2011). Her first solo album, Vocalise Ave Maria, was released in 2014 by Monthabor. Since 2016 she sings with pianists Diego Mingolla, Mihaly Zeke and Giuseppe Modugno, choosing her repertoire among baroque music, German Lied and French mélodie but also contemporary music and musical. In addition to her solo projects, she regularly sings with La Tempête (Simon-Pierre Bestion) which she recorded with the albums Paroles à l’absent (NoMad Music, 2014) and The Tempest (Alpha, 2015), Pygmalion (Raphaël Pichon), Accentus (Laurence Equilbey), Les Cris de Paris (Geoffroy Jourdain) and Les Arts Florissants (William Christie). Among these choruses, she has sung various operas : Hahn’s Ciboulette (Opéra Comique, 2015), Rossi’s Orfeo (Bordeaux, Caen, Versailles, 2016-17), Saint Saëns’ Le Timbre d’Argent (Opéra Comique, 2017), Haendel’s Jephtah (Opéra Garnier, 2018), Gounod’s La Nonne Sanglante (Opéra Comique, 2018), Gluck’s Orphée et Eurydice (Opéra Comique, 2018). 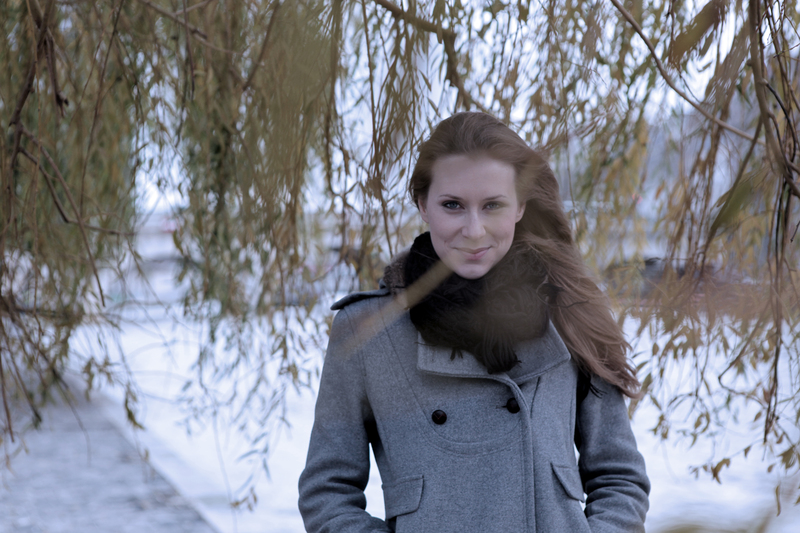 Since 2010 she started singing jazz music after having studied the double bass with Christian Gentet for several years. In 2017 she joined AUM Grand Ensemble, a collective of 14 musicians, who plays oniric works composed by its leader Julien Pontvianne (You’ve never listened to the wind, Onze Heures Onze, 2017). In 2018 she created Body & Soul Consort, a quartett (voice, double bass, theorbo and percussions) whose aim is to create boundaries between baroque music and jazz. In addition to her musical experience, Ellen was a student at the Ecole Normale Supérieure of Paris and holds a Master of Science in Biology as well as a Master of Business Administration. Currently living in Paris, she speaks Italian, French, Dutch and English fluently, and has studied German.